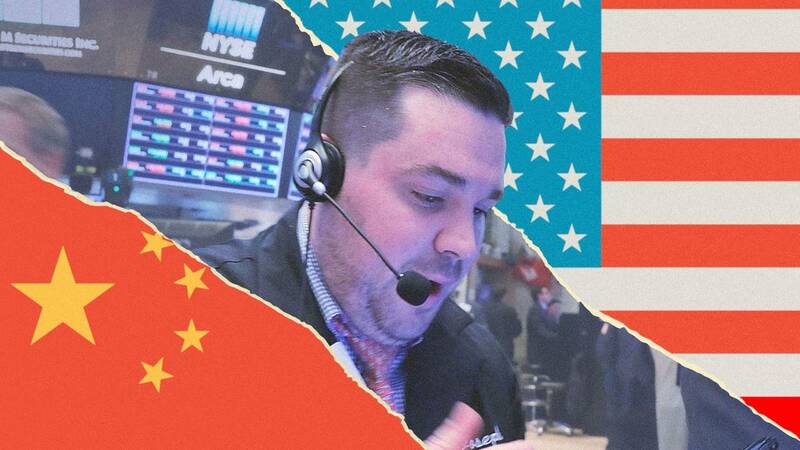 (CNN) - The trade deficit fell in November for the first time since President Donald Trump started putting tariffs on Chinese goods. The gap between what Americans imported and exported was down $6.4 billion from $55.7 billion in October, according to data released by the Commerce Department Wednesday. The drop follows five straight months of growth in the trade deficit. The value of American exports fell in November, a shift driven by falling oil prices. But the drop in the value of goods imported was even bigger, falling 3.6%. "It's likely that the increase in tariffs on imports from China is responsible for some of this decline," wrote Ian Shepherdson, chief economist at Pantheon Macroeconomics, in a research note. Trump began putting tariffs on Chinese goods in July, after imposing duties on foreign steel and aluminum imports starting in March. But imports remained strong through October. That might be due, in part, to American businesses rushing to stock up inventory before the tariffs went into effect, Shepherdson said. There are a number of factors that affect trade. Last year's federal tax cuts have put more money back into Americans' pockets, lifting demand for imports even if they're more expensive. Meanwhile, slowing global growth and a strong dollar could be a drag on exports. The November drop did not reverse the trend for the year. The trade deficit grew by more than 10% for the first 11 months of 2018, Wednesday's report said. The report was delayed by the 35-day partial government shutdown, which impacted the Commerce Department.